The City of Hamilton, Ontario is located on the picturesque southern shores of Lake Ontario and near the Niagara Escarpment, a UNESCO World Biosphere Reserve. It’s also closed to both the City of Toronto and the United States (U.S.) border. Amalgamated with the municipalities of Ancaster, Dundas, Flamborough, Glanbrook and Stoney Creek, the City of Hamilton is the eighth largest city in Canada. The City of Hamilton needed a budgeting system that was centralized, easily accessible and that would reduce the hours involved in the budgeting process. Questica Budget’s Capital web-based solution provided the City of Hamilton with a centralized point of entry and data storage, while ensuring information accuracy across all departments. The City of Hamilton used a manual process for budget preparation and submission. Using Excel and PeopleSoft the process was long, required a lot of manual data-entry and verification, and placed a considerable drain on network drives and electronic storage space. The process began with staff rolling over the existing data to the new year. Any year-specific information would then need to be manually updated in each of the 1,100 project detail sheets. The Capital budget book, close to 500 pages in length, contains data found in numerous files from several different sources. Each section was printed separately and then combined into one document. All pages needed to then be numbered by hand and lengthy manual check was required to ensure accuracy of information. Specific information reports were often requested by Management and Council during the review phase. These were difficult to provide using the limiting report templates that existed. Once the Capital budget received approval from Council, it was then loaded manually into PeopleSoft, on a per-project basis using an Excel spreadsheet. This process would typically take three days. High stress levels within the staff remained a problem throughout the entire budget process, due in large part to the struggle to meet deadlines and the quick turnaround expected on information requests. The challenges and limitations of their Excel based Capital budgeting process was the motivator to find an alternative solution. 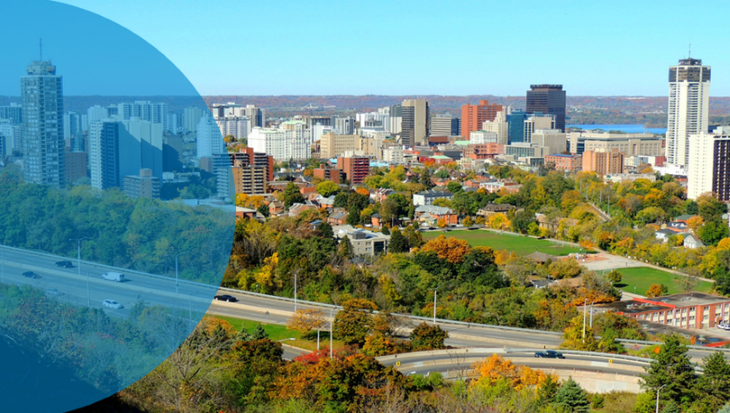 The City of Hamilton was introduced to the Questica Budget solution at a municipal conference. After speaking with a Questica representative, they realized that their budgeting challenges could be addressed through our consolidated application. In addition, Questica Budget Operating could help them improve their process and gain better control over their Operating Budget. Questica Budget easily fit into the City of Hamilton’s existing software environment and provided them with the features and capabilities they required. Using Questica Budget Capital’s centralized database, the City of Hamilton has reduced its budget preparation time by over 200 hours. New budgets are automatically rolled forward, capturing all relevant information. Changes made to budgets at any stage of the budget cycle are updated system wide. Centralized data ensures consistent information throughout the organization. The City of Hamilton can conduct precise financial modeling. Questica Budget Capital’s real-time application ensures that the financial data they are working with and making business decisions from is current, and no information is missing. With 20 people directly involved in the budgeting process, Questica Budget’s centralized control over data input and output, ensuring that quality control and security are maintained. The Administrator can set access based on user roles and can lock down the budget as it reaches certain stages. Council-ready reports and last-minute information requests are now available in minutes, not hours. This has not only reduced the time required in bringing the budget to council, but also the level of stress felt by everyone involved in the budgeting process. As the budget is reviewed by Council, requests for information become more detailed. Questica Budget’s central database and flexible report writing tools speed up the information channel. In addition, many of the tasks required of a capital budget system are now available quickly and easily, such as ranking projects, indicating operating budget impacts, tagging related projects, and embedding maps. Questica Budget Capital has significantly reduced the probability of error during the flurry of last minute changes by departments just prior to the budget going to print. Changes are automatically updated system wide, ensuring all reports are current and the Corporate Model contains accurate information. Thanks to more efficient budgeting, Hamilton is brilliant.